Paper Pawz: CFC186 - Anything but a Card! Happy Friday crafty friends! 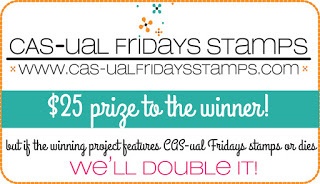 I love Friday's especially when it's time for a new CAS-ual Friday's Challenge! This week it's anything but a Card! 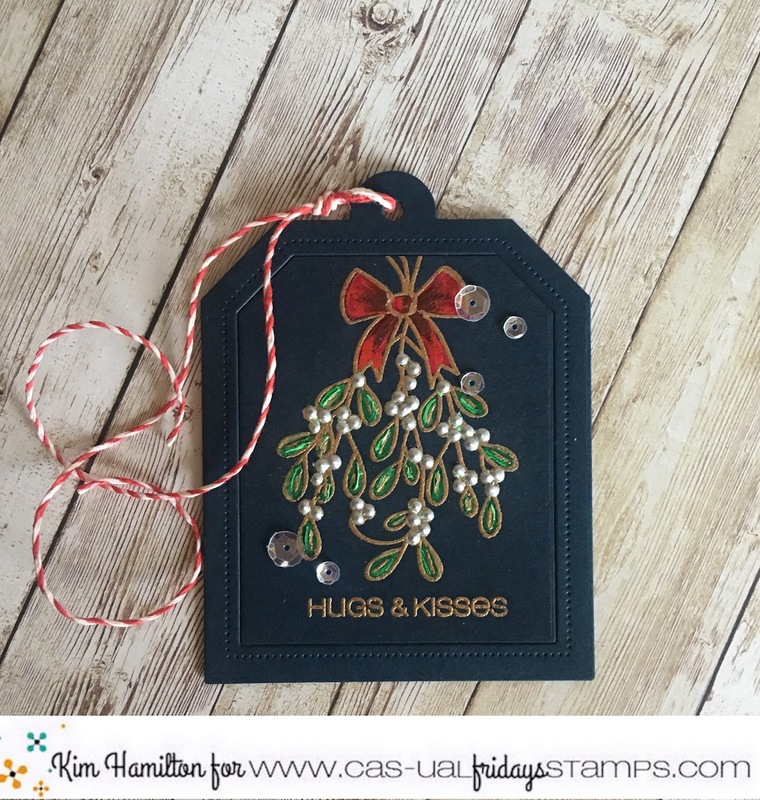 I decided on a tag for my project featuring the beautiful Mistletoe from the Mistletoe and Holly stamp set! I just love this image. I felt like trying my new Windsor and Newton Gouache (inspired by the new Holiday Online Card Class). The joy of Gouache is that is paints beautifully on dark card stock! I chose a navy blue to make a nice masculine tag. I gold embossed my Mistletoe and sentiment also from CAS-ual Friday's on the base of my tag. I used two different red colors for the bow, a mix of greens for the leaves and I finished by adding Liquid Pearls on my berries. I was going to make a shaker tag but I felt that it would take away from the Mistletoe so I just added some Pretty Pink Posh Sparkling Clear Sequins. A simple project but I love the depth of the Gouache :) To finish off the tag I added some red and white twine.